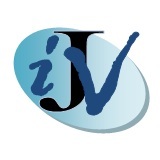 IJV was established in February 2007 to promote the expression of alternative Jewish voices in respect of the deteriorating situation in the Middle East, based on a commitment to social justice and universal human rights. We came together in the belief that our views were not reflected by Jewish communal organisations, which, while claiming to represent the Jewish community as a whole, consistently put support for the policies of an occupying power above the human rights of an occupied people. The reaction of these organisations to the latest crisis in Gaza, re-iterating Israel’s self-representation as sole victim of the conflict, fully vindicates our position and demonstrates it to be more necessary than ever. We condemn attacks on civilians from any quarter as war crimes. We recognise the real fears and distress suffered by the residents of southern Israel but we deny that they justified the immensely greater toll of death and destruction meted out to the citizens of Gaza. The escalation of violence, based, as it is, on the fantasy that a military solution to the conflict is possible, cannot bring security to either side. It merely serves to deepen hatreds, encourage further cycles of violence and delay a just and peaceful resolution. We reject the collective punishment of the population of Gaza, the continuing occupation and the expansion of the settlements in violation of international law. We call for a total and permanent cessation of violence, an end to the blockade of Gaza and an end to occupation. We urge the Israeli government and the Palestinian Authority, with international support and without preconditions, to embark on serious efforts to address the fundamental causes of the conflict and work towards a negotiated solution which recognises the legitimate aspirations and human rights of both Palestinians and Israelis. We invite those Jews in the UK who share our views to join us.